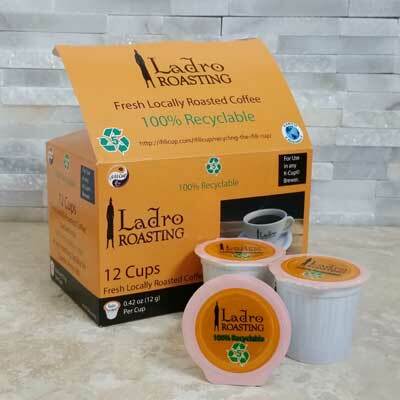 Ladro's famous FTO Diablo blend, freshly roasted and packed into 100% recyclable Ladro Cups at our roasting facility on Queen Anne Hill. 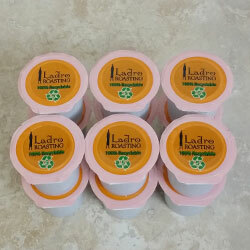 Receive a discount if you purchase a bulk quantity of 60 Ladro Cups. From Anita Kreitman of Scotch Plains, New Jersey on 7/26/2018 . We were delighted to find that our favorite coffee shop in Seattle makes pods. 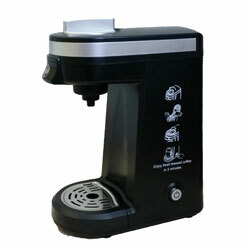 We are now able to enjoy this great coffee at home in NJ using our Keurig. From Anonymous of Sunnyside, Washington on 5/11/2018 . I've never been able to drink coffee without sugar and cream, until now! Best coffee ever!! From Anonymous of Wichita, Kansas on 4/2/2018 . I recently had coffee at Caffe Ladro in Seattle and it was amazing. I wanted to bring some back for family but had too much in my luggage already so I used the online service. Shipping was reasonable as were the prices for the coffee. The k cups were a fun treat for my family and they loved them! From Candice Arveson of Sequim, Washington on 12/14/2017 . We were not happy with other pod-type coffee we had purchased. 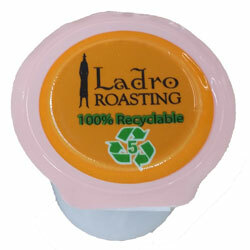 We tried Ladro Cup Diablo and it was as good as Ladro pour over and AeroPress. From Chris latterell of St.Paul, Minnesota on 5/11/2017 . 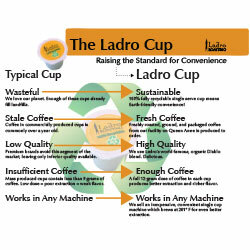 For years I've always thought Ladro coffee was the best coffee I've ever had. A few years ago I heard of a possible K-cup development. Finally it's here. Lovin' it guys! 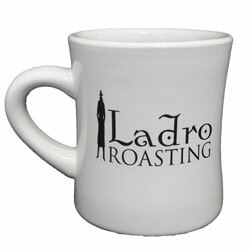 For years I've always thought Ladro coffee was the best coffee I've ever had. A few years ago I heard of a possible K-cup development. Finally it's here. Loving it guys!